In our last tip, we went over how to manually order files and directories within the TKE sidebar. What we didn’t cover is why you would ever want to manually sort files in the sidebar in the first place. One such reason we would do this is to control the order that files are processed within a directory from something like a plugin. The Publish Markdown plugin is one plugin which uses the sidebar ordering of the files to collate Markdown files into a single file and then hand that single file to a Markdown processor for export. This allows you to split your Markdown document into separate files (say, a file per chapter or section) and then organize the files into a particular order to generate a single export document. 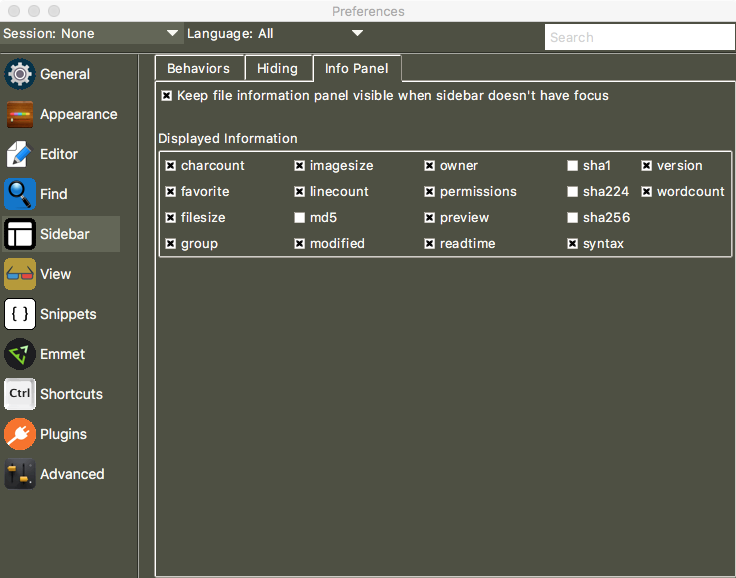 After the plugin is installed, it is accessible by right-clicking on a sidebar item. If the item is a directory, all files within the directory and all of its subdirectories will be traversed and organized, in order, into a single temporary Markdown file. After this is complete, the export window will be displayed. If you want to save the file, select “Publish To”, select a directory to save the file to, and click “Publish”. If you want to export the file as HTML directly, select “Publish To”, select a directory to save the HTML file to, select the “Export As HTML” option, and click “Publish”. If you want to send the resulting file to an external application, select “Open In”, choose the application from the dropdown list (more on this in a bit), and click “Publish”. 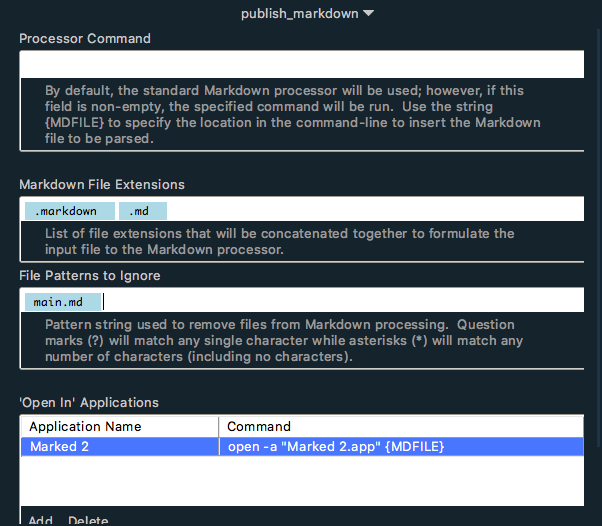 The Publish Markdown plugin has several options to configure its behavior that are accessible from the Preferences window within the Plugin panel. 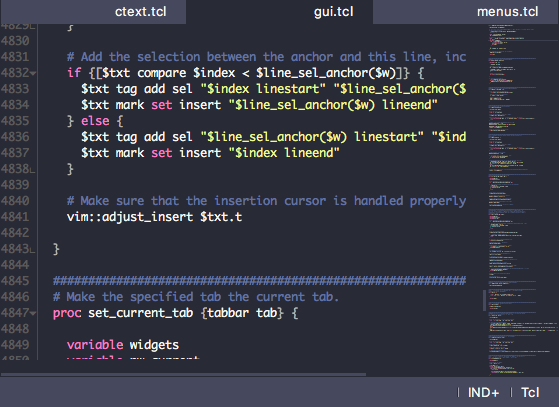 Select the “publish_markdown” option from the pull-down menu to reveal the options. You can specify an alternative Markdown processor, select which file extensions will be considered for inclusion, select which file patterns can be used to ignore certain files and setup the external applications that can be accessed by this plugin. 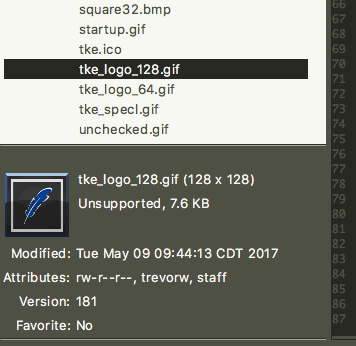 This plugin may only apply to a small subset of the TKE user base who use Perforce for their version control system, but it’s a really handy one that does one thing really well. When you are working with Perforce-controlled files, getting permissions to edit a file requires that you always execute the ‘p4 edit <filename>’ command before you save the file contents. This usually means that you need to open a terminal, enter the command, then go to your editor where you make and save the change. The Perforce plugin, when installed, automatically performs a p4 edit on the file when the file is saved. 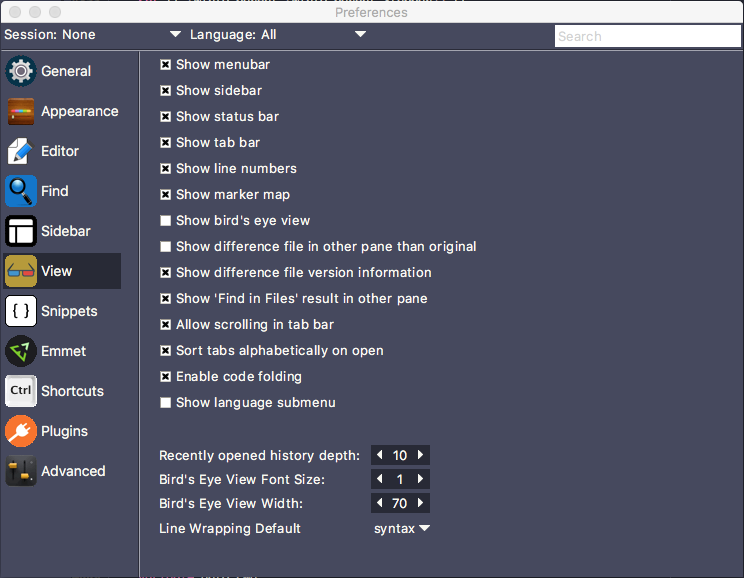 This will greatly improve your workflow when editing Perforce-controlled files (so much so that it will bother you to use other editors that don’t have this feature). Below the line, enter the name of the server containing the Perforce view that you would like to edit (i.e., the result of executing the ‘hostname’ command on *nix filesystems), followed by one or more spaces, and the base directory containing the Perforce view to edit (i.e., the result of displaying $P4WORKAREA in a terminal). Save the file, close it, and you are ready to start editing without the tedium ad nauseum of ‘p4 edit’ madness. You can add as many Perforce host-directory combinations that you need, if you are someone who works with multiple views on several machines. If at any time, you want to disable this feature, simply select the Plugins / Perforce / Disable edit on open menu option. The plugin even provides a feature which will revert the current file if you want to throw away changes made to the file since the last file submission via the Plugins / Perforce / Revert current file menu option. Once you have this plugin enabled and firing on all cylinders, you’ll never want to go back.